Českosaské Švýcarsko is kind of funny geographical name of the area, meaning Czech/Bohemian (Česko) Saxon (Saské) Switzerland (Švýcarsko). Any idea where you can find it? Partially in the Czech Republic, partially in Germany (the Saxony part of the country, but check the wiki because “Saxony” can be pretty complicated even within Germany :-)). You can visit both Switzerlands (Boheiman and Saxon) in my today’s Insta Friday post. A Word A Week Challenge for this week is Action. A few weeks before I wrote a post about the Czech tradition of going to the cottage for the weekend. I wrote about weekends that we spend with friends in the nature, at the Dashwood dorp on Kocába river. 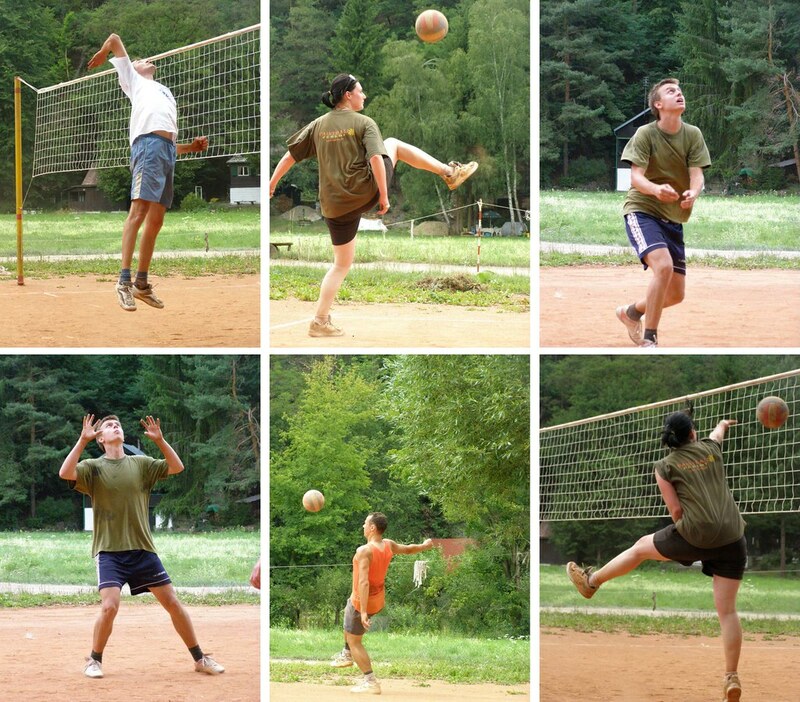 Today I show you how we spent the days there – playing volleyball, “nohejbal” (Czech speciality, similar to volleyball but played with your foots/legs and head). After the game you need to take a bath to wash away the dust or clay. 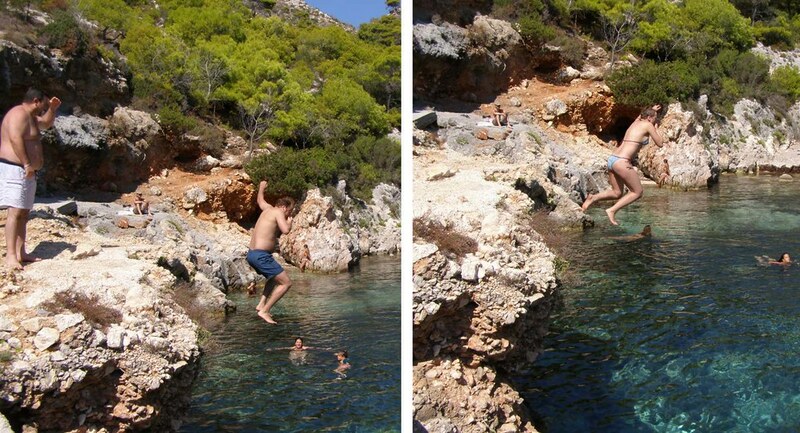 As a bonus I offer you also 2 pictures from Zakynthos and believe me, it’s me and my husband on it :-). Bonus number 2, me and my husband again, this time in aquapark in Nesebr in Bulgary.